In general, saints are being demoted or relocated on the calendar of holy days, revised beyond recognition, or just forgotten. “All Saints’ Day,” which includes all of them, was November 1, but only the most faithful of the faithful noticed, since most others were recovering from “All Hallows E’en,” now “Hallowe’en.” Most Protestants this year celebrated the Sunday before All Saints to observe the 499th anniversary of the Reformation. That event remembers the activity of uncanonized friar Martin Luther, who had the great PR sense to attract attention on, yes, All Hallows E’en. Thousands upon thousands of Christian parishes are bucking the trend and retrieving something of All Saints, a very deserving and moving tribute. 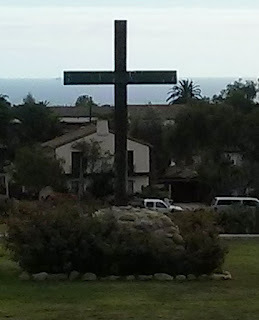 In our own parish there was a pilgrimage on All Souls Saturday to a cemetery, to further our ministries and honor the “faithful departed,” while on Sunday we observed All Saints’ Day, moved up this year due to the Hallowe’en and Cubs ritual days. Pictures of our “departed loved ones” are mounted and honored, though not venerated in church. The meaning of such honoring is changing in a world increasingly called “pluralist,” “secular,” and “commercial.” The Wall Street Journal Friday noted that “The Funeral Is Reborn in Changing Times.” James R. Hagerty chronicled the changes: “As more Americans choose cremation—often dispensing with the need for caskets, burial plots and dreary rituals—the funeral industry is reinventing itself. The goal: stay relevant and avoid a change in profit.” The owner of a partnership of 50 funeral homes and nine cemeteries has invented a post-liturgical-era event: “We don’t call it a funeral service… We call it a gathering.” Those who lose money with the decline in the use and sales of expensive caskets, because of the huge increase in cremations, win some profits back by peddling very expensive urns, to hold the ashes of loved ones. These urns are part of the secularizing “boutique” approach to the ashes and dust which Bibles tell believers are in their future. If one cannot handle the dust of the grave, there is comfort to be had, it is reasoned, in the designer urns to be mounted on the mantel at home. The thousands once spent on a funeral with a casket can be partly won back with the “gatherings” and urns. Wouldn’t you know, Pope Francis, years after the Catholic Church ended its opposition to cremation, announced recently that believers should not hoard the ashes of their beloved or revere them over oceans or in beloved baseball parks. Good old-fashioned liturgical services in a congregation offer consolation and solace, no matter how little they cost or how few can profit as they did in the recent, now receding, past. Here’s to the Pope for that welcome “saintly” gesture on Saint Herculanus Day. - Baptiste, Marie. “Does the Catholic Church Say Anything About Cremation?” Our Everyday Life. Accessed November 5, 2016. 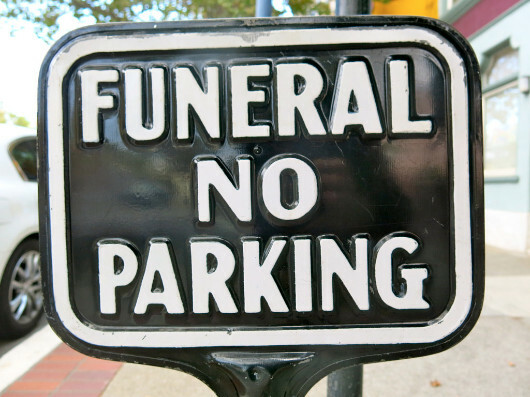 - Hagerty, James R. “Funeral Industry Seeks Ways to Stay Relevant.” The Wall Street Journal. November 3, 2016. - Graves, Jim. “Changing Catholic Attitudes about Cremation.” The Catholic World Report. November 3, 2012. - Mathisen, Tyler. “Cremation is the hottest trend in the funeral industry.” NBC News. January 22, 2013. - US Funerals Online. Accessed November 5, 2016.